The ultimate flying machine! Flying left, right, up, down, backwards and even upside down; these hummingbirds are little with a very big appeal. Amongst the smallest of the birds, they flap their wings so fast that the sound we hear is a humming noise. 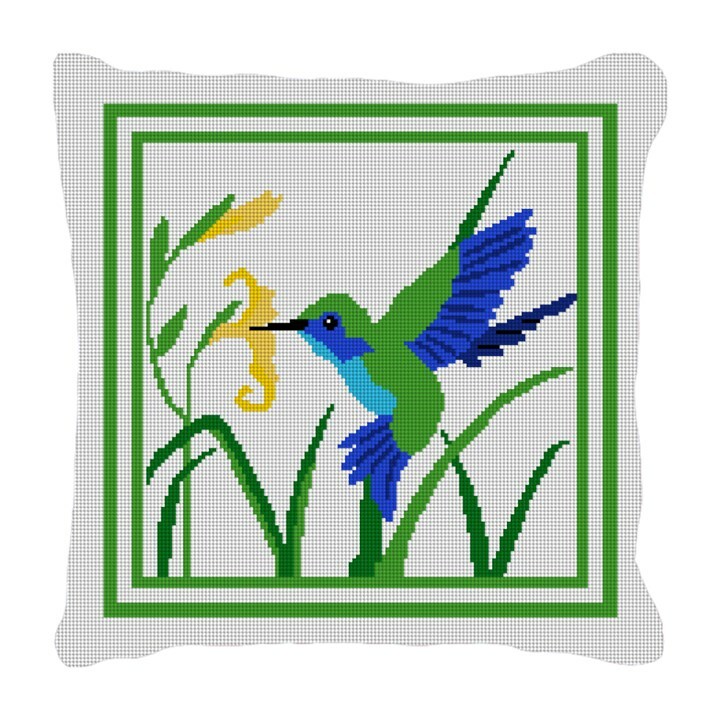 A fun and colorful needlepoint pillow canvas for you to stitch, and later when finished, will add a splash of color to your living space.